9GO! 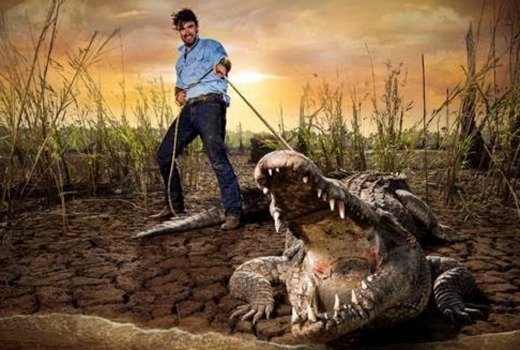 will premiere Outback Wrangler featuring Matt Wright next Tuesday, catching wildlife in the Top End. Outback Wrangler has previously screened on National Geographic. Australia’s bravest and most skilful animal catcher, Matt Wright, is all set to take viewers on a death-defying journey when Outback Wrangler premieres next Tuesday, November 29, at 7.30pm on 9GO! Tracking Matt’s daily encounters with saltwater crocodiles, Outback Wrangler puts you in the front seat of his trusty helicopter on an incredible ride across Australia’s beautiful yet treacherous far north. Raised in the Aussie bush, Matt has made it his mission to keep animals, locals and the environment out of danger by relocating wildlife he catches in the Northern Territory. With big machinery, including airboats, helicopters and a new croc-catching tool, the harpoon, the action never stops in this breathtaking rumble in the tropical jungle. Catch Matt when he drops in to the Today Show this Thursday, November 24, in his first appearance ahead of the series premiere. Tuesday, November 29, at 7.30pm on 9GO! Is it just me or is 9GO! programming more and more like 7mate lately.